The After School Matters Gift Shop at 66 East Randolph Street. Support the artistic talents of Chicago’s teens by shopping at the After School Matters Gift Shop. 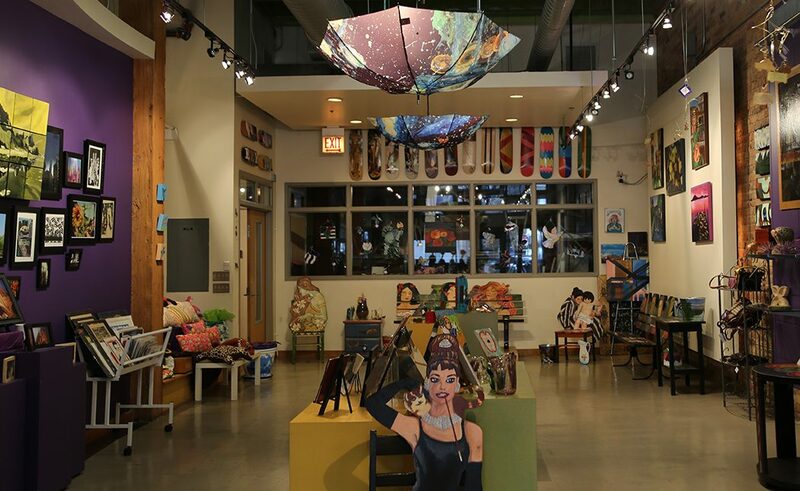 Located at 66 East Randolph Street in downtown Chicago, we proudly offer one-of-a-kind artwork and gifts created by teens participating in After School Matters programs. Shop for ceramics, hats, jewelry, mosaics, painted furniture, paintings, prints, puppets, photography, metal works, skateboards, stained glass, wood carvings and more! All proceeds from the Gift Shop support After School Matters and our talented teens. Interested in consignment? An After School Matters consignment is a temporary loan of teen artwork for prominent display in a place of business or public space. Please reach out to our consignment coordinator via email at [email protected] for more details! After School Matters is a 501(c)(3) organization.